I first covered this topic years ago. “5 Awesome Reasons Why You Don’t Need a Vehicle in the Philippines.” While we did purchase a new Ford Ranger four years, we only used the local transportation modes to reach our destinations for years. However, can a foreigner or local still get by without owning their own private vehicle? We didn’t own any kind of vehicle or motorcycle, tricycle or carabao for the first five years when we first moved to the Philippines. We didn’t need one. Plus, I wasn’t going to be burdened with truck payments every month just to buy a vehicle. In contrast, my loving Filipina wanted us to buy one immediately. Nope! I made an “executive decision” which I stuck with. We didn’t purchase our new Ford Ranger until we had the funds to pay cash for it. Consequently, we had to wait until my IRS 72 (t) Retirement Plan had completed its five-year obligation. Once that transpired, we were able to access our funds to pay for our new truck in cash. We only have 16,308 kilometers racked up on our Ford Ranger after four years. That’s an average of 4,077 kilometers a year. Or 10,133 total miles for my fellow Americans back in the States, which averages to 2,533 miles a year. The Ford Ranger is a XLT Crew Cab model with a 2.2 diesel engine. 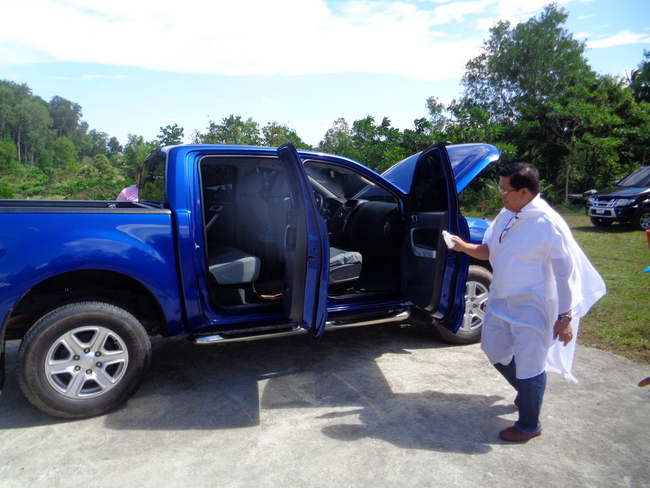 The total cost of the new vehicle was 1.029 million pesos, 20,580 USD. On average, we spend about 1,200 pesos, 24 US dollars a month, on diesel fuel. That’s 14,400 pesos spent on fuel annually, or 288 USD. Now those are extremely reasonable costs due to the fact that we obviously don’t use our truck that often. While two oil changes every year add another 6,000 pesos, 120 USD, to our yearly maintenance costs, the Ranger has a very affordable upkeep. Our oil changes are now much cheaper since the truck is no longer under warranty and we don’t take it to the Ford dealership in nearby Iloilo City. The oil changes and maintenance at Ford would normally run an extremely overpriced 7-9,000 pesos twice a year. That’s not counting the cost and hassle of having to use the RORO, Roll-on, Roll-off ferry to transport our truck to Iloilo City. I’ll look at how these expenses stack up against public transportation later in this post. If you strictly use public transportation in the Philippines, you don’t have to put up with any red tape. No visits to LTO to procure your driver’s license. Zero trips to an emissions testing center every year, which is needed for the annual registration of your vehicle. However, when we purchased our vehicle we did not need to register it at the Land Transportation Office, LTO, again until three years after the date of purchase since it was new. Last year, the first year we had to register our truck since purchasing it, was a nightmare. Our Ford dealership had not loaded our license number in the LTO database when we first bought it. 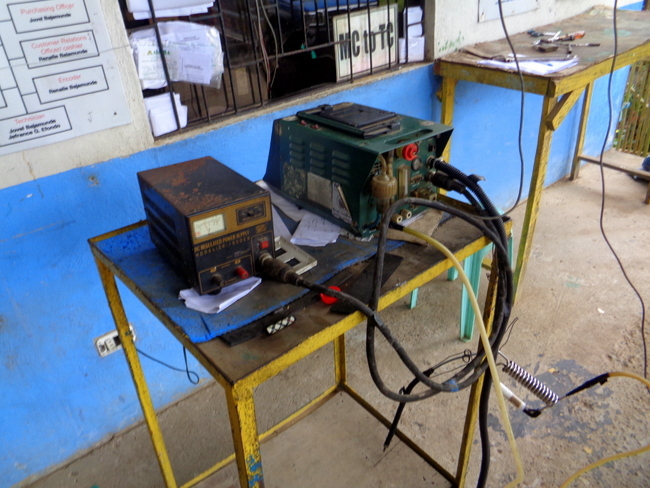 Consequently, when we went to an emissions testing center in Guimaras, the test could not be completed. 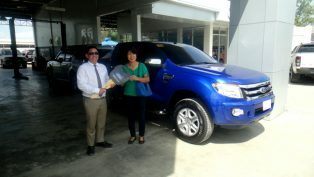 Therefore, thanks to a tip from the test center’s owner we visited Ms. Sony at our local LTO. Thanks to Ms. Sony, the license plate was loaded into the LTO database and we were able to register our vehicle. In contrast, if you don’t own your own vehicle in the Philippines you don’t have to put up with any red tape issues. The cost of last year’s registration was 2,449 pesos, about 50 USD. The fee for a new license sticker was 653 pesos, $13. Due to the fact that vehicle ownership means you’ll need car insurance, you’ll be shelling out more money for insurance premiums. However, when we first purchased our Ford Ranger the cost of our insurance for the first year was 23,000 pesos, 460 US dollars. This insurance was mandatory. Thankfully, we did have full coverage insurance as our truck was involved in an accident that could have cost us 63,000 pesos, 1,260 US dollars. Therefore, since we only had a 3,000 peso, $50, co-payment to the insurance company, Standard Mutual, the initial cost of the policy was a good investment. While we still have insurance on our truck, which is mandatory when you register your vehicle, we only pay 20 US dollars a year for the basic insurance required by law. Less stress if you don’t own your own vehicle in the Philippines? You bet. No hassles with any red tape. Also, we now have to deal with local tricycle and jeepney operators on our island who do not seem to have a basic knowledge of the Rules of the Road. It was clearly less stressful for me to ride the local trikes and jeepneys instead of dodging them with our Ford Ranger. Convenient to own your own vehicle in the Philippines? Yes, of course. More stressful? Yes, at least for The Crusty Old Expat. 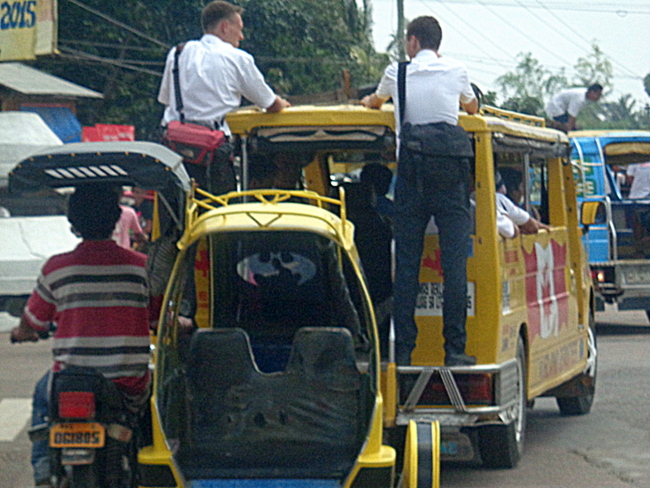 Tricycles, tricycles and motorcycles-for-hire are the primary modes of public transportation on our island province of Guimaras. I occasionally also see vans-for-hire on Guimaras, but never in any huge numbers. Trike rides in town costs are usually under 10 pesos, depending on how far you’re going, of course, and if any other passengers are riding your tricycle. Jeepney rides from San Miguel, Jordan to the Jordan Wharf, where one catch a banca boat ride to Iloilo City, will set you back 14 pesos. 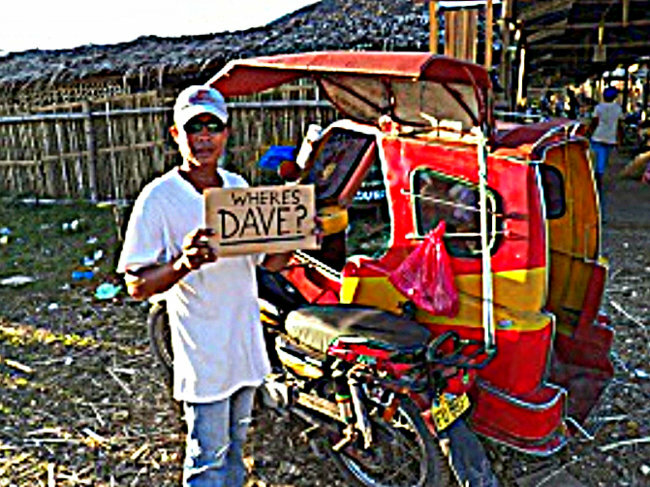 Motorcycles-for-hire depend on how far you’re going and can range from 100-300 pesos or more. When we shop in nearby Iloilo City, we never take our truck. Why pay 1,000 pesos or more to use the ferry and subject myself to driving in Iloilo City? It’s much cheaper to park our vehicle at the nearby Jordan Wharf, 35 pesos a day, and take a boat to the city for 15 pesos a person. In addition we take a jeepney in Iloilo City which costs us 17 pesos for the both of us, 34¢. We hire a taxi once we’re done with our shopping for a total cost of 200 pesos, $4, including the tip. However, in comparison, how did our public transportation costs measure against having our own private vehicle in the Philippines? It’s difficult to gauge how much our monthly transportation costs were since I didn’t keep any records of how many trips we made on a tricycle and jeepney or how many shopping treks we made to Iloilo City. That said, I would venture a “ball-park” figure of around 1,000 pesos a month, 20 US dollars, and that includes our taxi fees in Iloilo City. 2,000 pesos a month, 40 US dollars, is approximately how much it costs to operate our Ford Ranger. 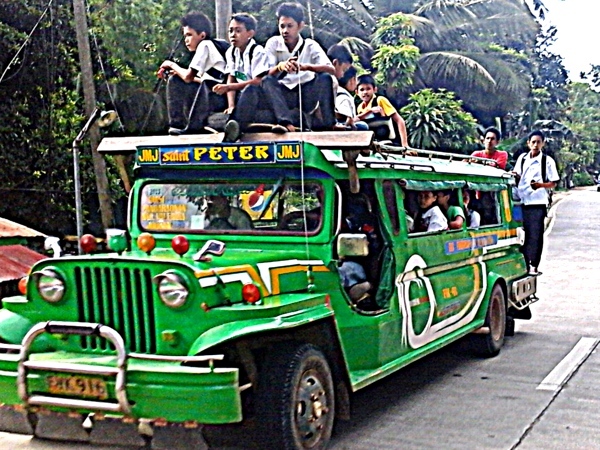 5 Awesome Reasons Why You Don’t Need a Vehicle in the Philippines. Owning your vehicle in the Philippines is not a necessity for the most part, but convenient. However, that “convenience” comes with additional potential problems and costs.